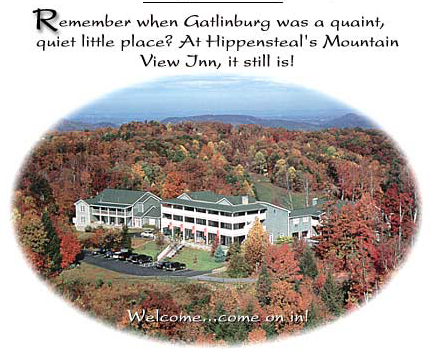 Hippensteal’s Mountain View Inn is a Smoky Mountain bed and breakfast in Gatlinburg, Tennessee. Located on a private and secluded mountaintop, this romantic Gatlinburg B&B offers magnificent views of the Smoky Mountain’s Mt. LeConte and overlooks Gatlinburg TN.